Will the race for the smartest AI expose a huge security risk? Artificial Intelligence used to be restricted to science fiction, but today it is being using by millions, even if you don’t realise. When you buy a smart phone today, chances are it will come with its own AI-driven digital assistant. By typing or speaking, you can ask the device natural questions and receive natural sounding answers to your queries. Some of these assistants also learn things about you during their use. You have the option of letting them know more about yourself, so they can offer you a more personalised service. A lot of their actual usage falls under novelty currently but these assistants have proved that for some tasks, asking a machine to do a specific task is quicker than tapping through apps and comparing data by yourself. With Google, Apple and Microsoft fighting for advancement and innovation in this area and with millions of active people using these services, AI is in rapid development. 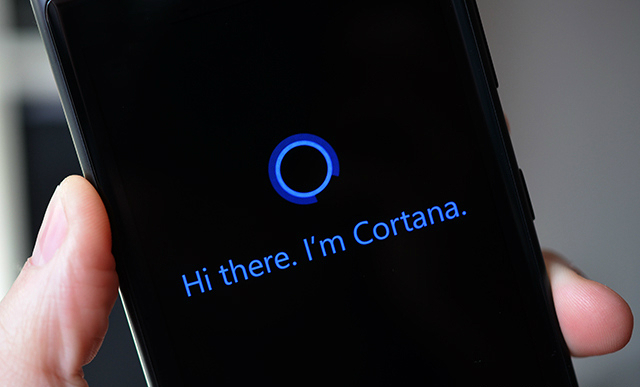 Microsoft are big players in AI, recently making waves with its virtual assistant Cortana being built into all Windows 10 PCs, tablets and phones, which if the OS is a success will make Cortana the most widely available virtual assistant ever. Microsoft also provides machine learning with its own branch of AI and drives a lot of their advanced Azure services including the platform that runs Cortana. Machine Learning allows scientists and developers to integrate predictive analytics data into their own apps. Microsoft research chief Eric Horvitz’s recently revealed that over a quarter of all attention and resource at his research unit is focused on AI activities. 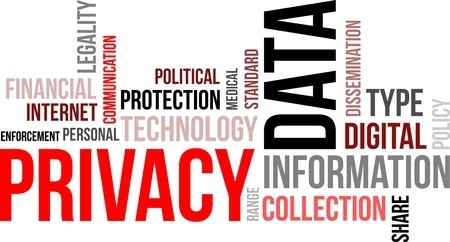 The main area of concern remains around privacy. AI systems will continually be able to make deeper inferences about users by weaving together the mass of data generated not only by information obtained via responding to a user’s queries, activities and life style preferences, but also from the access these systems have to a user’s emails, contacts, calendars and more. Some services do let you choose what can and can’t be used via your AI assistant but this of course directly affects their usefulness. Going forwards collected information and the means to grant or prevent access needs to be even more transparent and the relevant legislation in place with sovereign governments to reasonably safeguard citizens whilst ensuring criminal exploitation is minimised. Secondly, where information is stored (whether encrypted on device or on a server) is also hugely important. The amount of data an AI could gather about you would be incredibly valuable to ad providers for example or security intelligence agencies. As the technology moves forwards and AI evolves, so must both our application and cyber security. Exposure of this data would enable identity theft at a whole new level and unauthorised use of an advance AI service could be detrimental, allowing a hacker to query anything from calendar appointments to email details from any participating user. The likelihood of either scenario is minute with numerous safeguards already in place, but time has shown again and again, that if someone can build something, someone else will work out how to break it down. Microsoft’s Windows 10 event last week was not just about showcasing new software. Instead the technology giant woo’d its audience with some truly great commercial tech offerings. 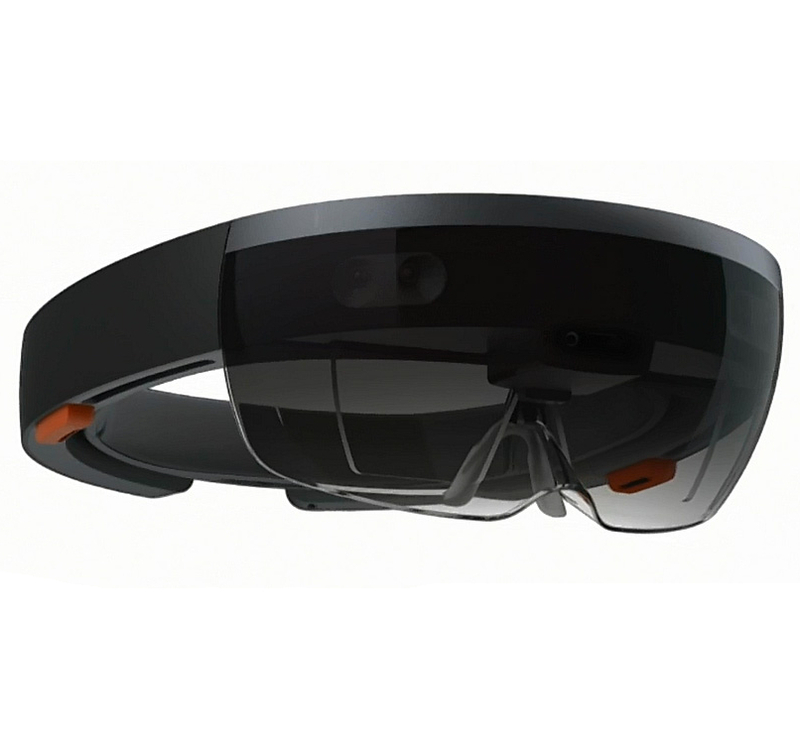 Microsoft biggest surprise was its announcement of a long developed and never leaked new device called HoloLens. HoloLens is a wearable holographic computer with high definition see-through lenses that promises to take virtual reality technology to a new level. Worn like goggles, it doesn’t require cables or other devices to operate and runs Windows 10. Unlike other virtual reality headsets in development HoloLens doesn’t block off your view of the world but instead places virtual holograms on top of the real world without the requirement for markers or external cameras. Demo’d during the event, Microsoft showed off specialised applications such as one being developed with NASA for its Jet Propulsion Laboratory, to help control the Curiosity Mars Rover and offer scientists a more interactive way to view Mars. An onstage demo then showed someone wearing the device to create a 3D quad-copter in 3D-space by pointing their finger, using hand gestures and voice control using an application called HoloStudio. Once created virtually, Microsoft revealed one they had 3D printed earlier. One of the biggest issues with 3D printing is content creation and HoloLens may just have solved that. One application of HoloLens to quickly get into people’s homes will come through Minecraft, following Microsoft’s recent $2.5 billion acquisition of the hugely popular game from Mojang in 2014. A HoloLens version of the game was shown on video where the device wearer can see the ‘blocked’ virtual world across their real-world interior furnishings. The player can walk around their creation and even virtually destroy real world objects that will have direct implications in-game. Select members of the press were impressed that Microsoft delivered as advertised. With Windows 10 launching later in 2015, we will hear much more about HoloLens once Microsoft have figured out the pricing and its likely roll out will be in 3D modelling, engineering and robotics. A much larger new technology has been shown off by Microsoft. Called Surface Hub, the device is built for smart team collaboration. The huge 84 inch tablet is designed to be installed on a meeting room wall. Once again, this collaborating device also runs Windows 10, and can be controlled by pen, touch or even voice. You can invite external workers into the panoramic discussion using Skype For Business, who are then face-to-face with you, using the Hubs built in cameras and microphones. The conversation doesn’t have to be full screen either and can be snapped to one side while the rest of the screen is freed up for note taking, annotations or even reviewing advance 3D modelling. The cameras and microphones are based on Microsoft’s Kinect for Xbox. These cameras can detect who has attended the meeting and the microphones can pick up natural speech commands from across the room. Setup is simple, needing just one power cable to operate. The rest is done wirelessly. Users can beam content from their phones to the Surface Hub to share. Then, once a meeting has finished, the ‘whiteboard’ contents are sent down to peoples’ devices, including any meeting minutes solving both problem of taking a photo of a traditional whiteboard and having a dedicated resource taking minutes in situ. Being a full-fledged Windows 10 PC, the Surface Hub can also run additional apps. The new store will have a dedicated section for apps, giving developers a new market to target for business. Both Microsoft hardware announcements were genuine surprises, which makes a pleasant change to the usual pattern of leaks. One area Microsoft has been quiet on so far is new phones to take advantage of the upcoming operation system and with their Surface line now pulling in over $1 billion in revenue it would not be surprising to see a Surface 4 Pro running Windows 10 on launch. Although it was a slow start, Microsoft seems to be sticking true to its modern branding of a ‘devices and services’ company and more announcements will be expected in the run up to the big Windows 10 launch later this year. Since the first 3D printed gun was fired in May 2013, 3D printing (or ‘additive manufacturing’) has come a long way commercially. This has varied from creating ‘bump’ keys for locksmiths, repairing worn out parts ‘live’ in space in the International Space Station and Oslo University’s creation of self-healing bots – all of which we wrote about in 2014. The amazing applications for healthcare have now taken 3D printing to new heights. From facial reconstruction of 3D printed bone and human tissue being printed to make arteries, we now have a heart warming story where 3D printing has recently saved a 2 year old girl’s life. Born with a serious heart defect, the girl who had spent most of her life poorly and fed through tubes, underwent vital surgery to repair a hole between the two chambers of her heart. 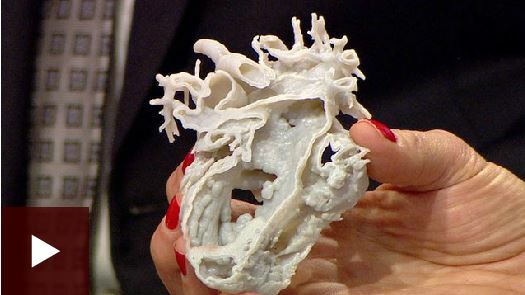 Doctors created imaging using a CT scan and a 1:1 3D image of her heart was made in plastic using specialist software. From this, surgeons were able to successfully plan the operation, giving vital and accurate information to assist in the delicate procedure. The potential is seemingly limitless and the opportunities for servicing industries substantial. For businesses, being able to send an engineer to a customer who can 3D print an exact part on site, might advertise guaranteed satisfaction. However, the original manufacturer is then threatened with lost business from lack of replacement orders and a reasonable concern over copyright for a copied part. This might be one for the courts to rule on as the technology progresses, or if one were to be cynical, perhaps manufacturers will purposefully drive towards shorter shelf life and price changes to keep out the competition and force whole replacements in the market. Are you into Cloud yet? Offering peer insight, a recent 2015 survey of over 200 IT and security professionals by US expert ‘not for profit’ organisation The Cloud Security Alliance (CSA), found that 72% of companies questioned, didn’t know the number of shadow IT apps within their own organisation. This has been blamed on a lack of knowledge about Cloud by both IT staff and senior execs in organisations. CSA’s CEO Jim Reavis explains: “The word “Cloud” means different things to different people in a company. In IT departments, “Cloud” often refers to a specific type of server virtualization technology, or use of IaaS platforms such as Amazon AWS. For everyone else, SaaS is also “Cloud,” including used tools such as Dropbox, Google Docs, LinkedIn and Facebook”. Another problem is procurement. 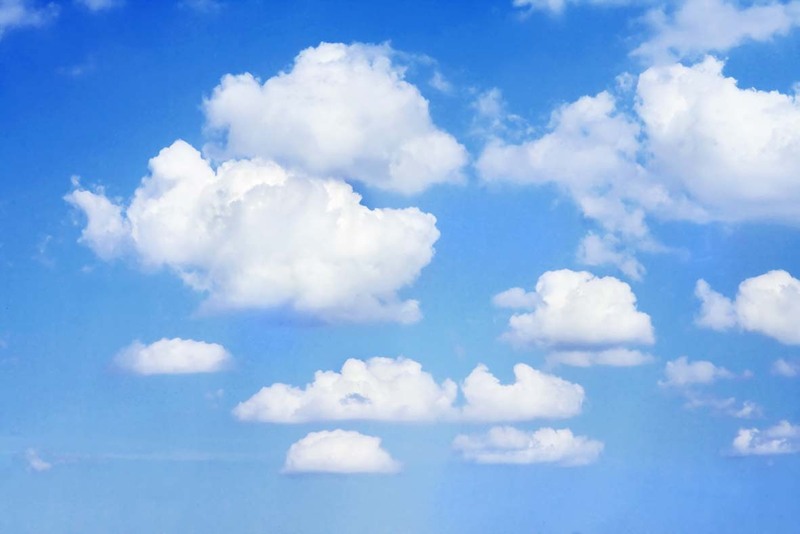 Employees can readily sign up for cloud services without any input from IT at all. The answer for this would be to monitor outbound connections, block access to certain sites and manage the increasing proliferation of BYOD devices. Staff bypassing the IT department can quickly create potential headaches and security issues for organisations in ignoring governance and compliance. Security of data remains the top barrier to cloud adoption, however organisations are still moving forward in adopting cloud services with 74% confirming wholesale adoption, or at least step migration into Cloud services. Part of the holdback remains a lack of knowledge and experience by IT and business managers. 49% of companies with fewer than 5,000 employees reported spending more than 20% of their IT budget on Cloud services. 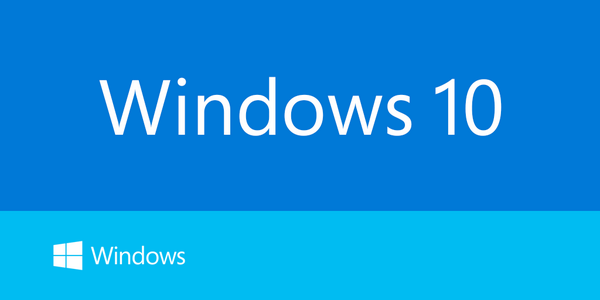 Windows 10 – The price for success is….Free! This week Microsoft held a Windows 10 event, containing several big announcements that showed off a new Microsoft with fighting spirit. Press events are not usually Microsoft’s strong suit, but this latest event showcased a new mastery of showmanship reminiscent of Apple’s best product announcements. The show started off with a bang; Windows 10 will be free to anyone running on Windows 7 or above if they upgrade within the first year of the Windows 10 release. This move alone will likely give Windows 10 the best launch yet. Free upgrades of course will slash potential short-term profits on desktop licences but Microsoft is thinking bigger – and is a cunning strategy to grow Windows beyond the PC. With Windows 8, Microsoft promised the same experience across all your devices, be they PCs, tablets or phones. This move did not play out as well as hoped. The idea was good but the execution left many feeling alienated, expressing they had been forced a mobile, touch-driven interface on their non-touch PC. This time around the same strategy is in place but much of work has been done to tailor the interface to each particular device type, whether it is big, small, touch, keyboard and mouse, or even a mix. If you are on a desktop you will see a new version of the much missed Start bar and on a tablet, the full Start screen Windows 8 introduced. These modes can also aquatically switch on hybrid PCs, for example detaching the keyboard on a Surface tablet will switch it from PC to tablet mode on the fly. This is all well and good on an OS layer but it is apps that are hugely important today. During the event Microsoft demonstrated new universal apps like Office will run on Windows 10 from small phones to large PCs and these apps like the OS will also adapt to each. This apps pitch alongside the free upgrade is Microsoft’s big play. If Windows 10 gets the expected momentum, with users actively downloading new apps from the Windows store, app developers would be silly to ignore this huge new market. With these same new apps made for desktop, but also able to run on Windows Phones, this could give Microsoft’s mobile platform the shot in the arm it certainly needs. What Microsoft is essentially doing is incorporating Windows Phone as a platform into just “Windows”, reflected in its new renaming; dropping the “phone” to simply “Windows 10” so it can reap the benefits from its desktop monopoly. In addition, as part of Microsoft’s ‘Continuity’, they announced its voice assistant ‘Cortana’ will, for the first time, be branching out from just the phone to tablets and PCs also. This was demo’d by asking the PC with voice to find specific documents, search for photos from a specific month, dictate emails, control music and more. As if this wasn’t enough, the much rumoured new browser was officially launched. Currently called ‘Project Spartan’, this browser will come alongside Internet Explorer which will be kept to handle legacy and corporate intranet sites. Project Spartan uses a new rendering engine alongside a different, newer look and feel. A new annotations feature lets you doodle on pages and share with others. Plus Cortana support is also built-in, letting you search with your voice and intelligently suggest searches as you start typing, based on previous interactions (such as showing flight details booked when typing in the airlines site). All in all, Windows 10 is shaping up to finally live up to Microsoft’s ambitious goals which misfired with Windows 8. The free upgrade will ensure it gets the best launch possible, which will please consumers and developers alike, and give Windows Phone its best chance of success. The sting in the tail is for hardware partners. Obviously you cannot please everyone in this game – and with users getting free Windows 10 upgrades later in 2015, it is the hardware partners who will not be happy, as they will face that challenge of seeing their usual buyers staying away as for once they do not have to buy new PCs upon upgrade. Microsoft’s Windows 10 event this week, wasn’t just about new software that was shown off. There was also a big splash about the business implications for holograms and the persuasive use of collaboration technology with a new 84″ meeting display? Interested – watch this space on Monday 26th January! In December 2014 we witnessed the fallout from the attacks on Sony Pictures which destroyed data and hardware and proved very costly with the leak of a slate of films due for release. Whether or not North Korea were behind it, the events and initial capitulation by the studio damaged the studio’s brand inexorably. Cyber attacks are highly challenging and pose a serious threat to a company’s economic stability and security, as well as wider reputations. Exploited by foreign governments, hackers, criminals and the disaffected who all probe computer networks daily, this New Year marks a timely opportunity for organisations to prevent their own “Sony situation”, by assessing and identifying any potential infrastructure weaknesses, updating processes, staff education and awareness – and implementing new, tighter measures and governance procedures to assure customers. Securing communications data – an acceptable price for us Charlies? On Friday 9th January 2015 two tragic terrorist attacks concluded in Paris, with the perpetrators treated as criminals and shot. Incidents like this are frightening and a prompt for sombre reflection. Behind the Paris attacks is the multifarious use of the internet, social media, email, telephone and mobile communications connecting individuals and groups, to inform global audiences on extreme topics and ideologies. This has accelerated so fast in the last 15 years, that it makes control of such communications and intelligence gathering, challenging but highly essential if nations are to have any chance of preventing the next atrocity. Both the UK and the US are responding by seeking to toughen up their legislative processes to track communications. In the UK, the Government wishes to collect data in bulk from all sources including social media, irrespective of citizen (from child to grandparent). This effort they believe, by intercepting communications would help identify new perpetrators and build up a body of evidence to be used in court. Defenders of civil liberties with privacy concerns are correctly identifying the wider impact this would have on individuals and companies. However, when set against the motive of defending the public and infrastructures to keep the lights on, it is an increasingly hard position to argue against. Only time will tell, but it will be interesting to see if a bi-product becomes the further movement of information to sovereign controlled data centres to ensure improved access and regulation. 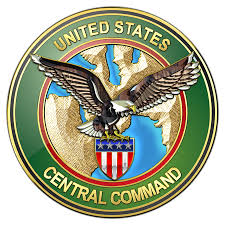 Finally, Tuesday 13th January 2015, saw a CyberCaliphate attack breaching US Central Command’s Twitter feed Centcom and YouTube feed. With several thousand social media accounts, social media is seen as a fast and effective way for the US military to communicate globally with its staff and families – on anything from on-base events to power outtages. The ‘cyber vandalism’ as it is being described, only showed information widely available online – there was not believed to be any theft or disclosure of classified information. The timing was embarrassing though and created a PR disaster for the President, given that he was outlining plans to strengthen cyber security when it happened. This was unlike the 2008 foreign intelligence breach via malware into the Pentagon mainframe computer system. This latest public hack is believed to have been caused by password disclosure (inadvertently or not) from an individual. US officials have duly updated passwords and issued tip sheets to staff to bolster online security advice and are reviewing processes. In social media, both Twitter and Google now recommend two-factor authentication, so anyone logging on to the account from a new computer has to enter a code sent to their mobile phone. Whilst the Centcom attack did not have the impact that the perpetrators hoped for, lessons are there and must be learned and applied by all organisations using the internet. Financial systems, powergrids, pipelines, healthcare systems and wholescale society infrastructures run on networks connected to the internet. Safeguarding these are the crux to public safety and public health. As we go to press today, David Cameron on a visit to Washington confirmed that MI5 and the FBI will be playing cyber wargames targeting the Bank of England, commercial banks, the City of London and Wall Street and be followed by “further exercises to test critical national infrastructure”. In this case, a sense of proportion needs to be maintained. Yes, it was embarrassing, but nobody died. Technology advancements don’t rest, even during the holiday period. Each year technology companies show off their latest and greatest at CES (Consumer Electronics Show). The show kicked off on 5th January and ran all week. Here is our pick of some of the best for 2015. WebOS powered smartwatch that can drive your Audi! WebOS is going mobile once again in the form of a new LG smartwatch. Bought from HP in 2014 (which had obtained it with the infamous purchase of Palm in 2010), LG has adapted the previously phone and tablet platform for their latest Smart TVs. 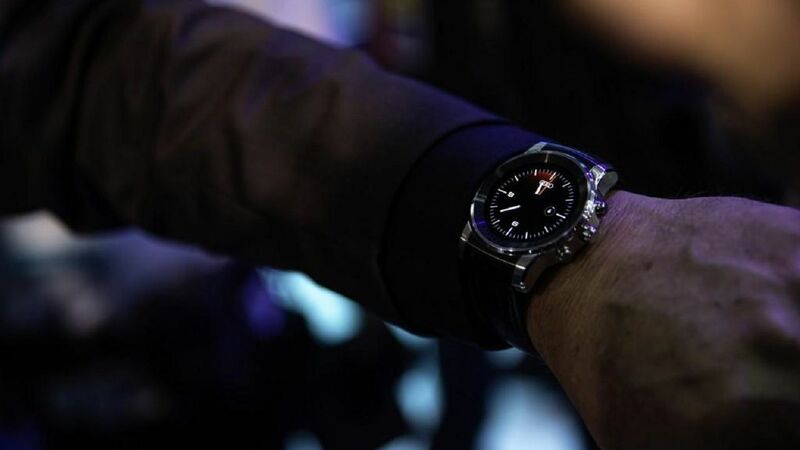 At CES the smartwatch was used to drive an unmanned Audi on stage. Whilst still in development, it can nonetheless not only park the car but also monitor and control its statistics and settings. This takes the driverless car topic forwards, but also outlines LG’s greater plans to utilize WebOS across more platforms. With the re-mobilization of the platform, this could be LG’s opportunity to steal market share from Google platforms and give an alternative to android on future smart phones. Not content with its new smartwatch (above), and too eager to wait till Mobile World Congress in March, LG announced the LG G Flex2. In addition to being the most powerful smartphone to date, the Flex2 has a unique feature. 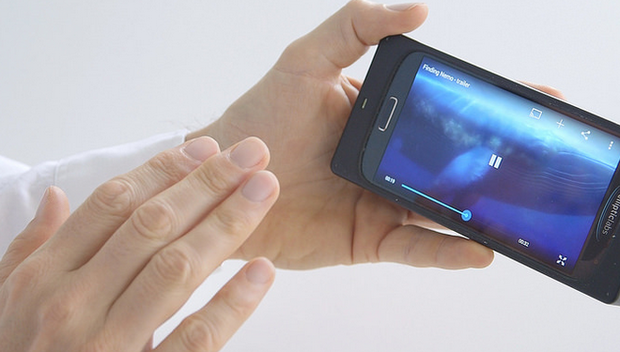 Still with curved shape and screen – it is the remarkable self-healing back that is attracting most attention. The new self-healing back eliminates light and medium scratches in just 10 seconds ‘in front of your eyes’ vs three minutes on the original Flex. Gimmick? Well it’s a surprisingly good all-rounder and one to watch, especially for anyone a bit clumsy! Microsoft has previously demo’d hand gesture technology to control a mobile device without touching the screen. Other companies have implemented basic gestures into their new phones ie. taking a selfie not by touching the screen but making a hand gesture towards the camera. Elliptic Labs showed off the next advance. Multi-layer interaction technology was shown to control a video, pausing, resuming and showing duration left – without touching the screen. The technology isn’t limited to mobile devices. Once further matured and more reliable, it is not a hard leap of imagination to see this developing into being used to control a device secured in a vehicle, or office dock without overreaching or leaving smudges on the screen. With such focus on new technologies going towards the mobility market, traditional desktop PCs have been somewhat in the shadows. Now though, bolstering their respective portfolios HP and Intel have announced miniaturised PCs. 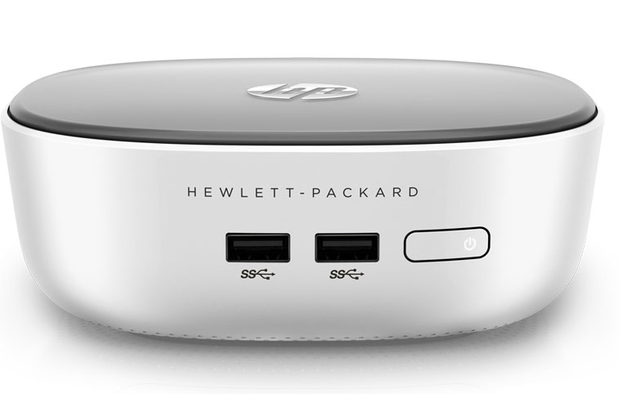 So small, HP’s new mini PCs can fit in the palm of your hand and are lighter than Apple’s mini offerings. Additionally, they offer a more practical design (putting the USB ports on the front) – and are a lot cheaper. Running on solid-state drives including 200GB of additional OneDrive storage and Intel Core i3 processors. These small, cheap and cheerful units could find a future home in Offices, giving companies to opportunity of replacing legacy PC towers with these space and energy saving mini PCs. Intel has taken quite a different and even smaller approach. Intel has announced the Compute Stick, a tiny device that resembles a USB memory stick and plugs into a monitors HDMI port. This little stick is a full Windows 8.1 PC and includes a full licence of Windows as part of its $150 asking price. Although you won’t be performing powerful tasks on this unit, it could be ideal for browser based or less demanding apps. 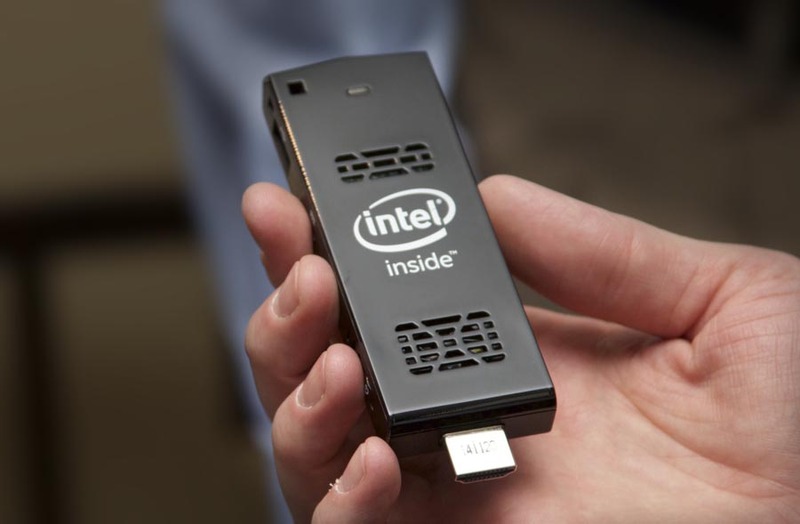 With no physical unit whatsoever required on a desk beyond the monitor, Intel’s Compute Stick will certainly free up desk space – and could interest a few procurement departments. 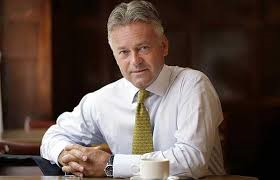 UK Member of Parliament, Alan Duncan has put forward a Ten Minute Rule Bill to the House of Commons for the removal of legal disclaimers on emails. The MP made an impassioned bid to relieve UK government departments, councils and companies from the frustrating and often lengthy email disclaimers that litter the footers on our email traffic. The impact of this is immediately felt when email conversations get printed out, but it is also a frustrating distraction for users trawling through email chains on a computer screen. Alan Duncan comments that the waiver is essentially unenforceable as presented, over lengthy and often incomprehensible. Email disclaimers often range in length from 100-200 words. Reviewing Parliamentary disclaimers, the MP noted the Conservative party disclaimer stands at 183 words, Labour’s at less than 50 words and Parliament’s own disclaimer at 60 words. The Honorable Member for Rutland and Melton was very proud to have got his ministerial department’s disclaimer down to 17 words. The bill will get a second reading on Friday 6th March. Despite this well considered initiative to think ‘green’ in 2015, the bill may nonetheless fail to get on the Statute book for lack of time. Nonetheless, it should be on the consciousness of all organisations to take this opportunity to voluntarily review what is absolutely necessary, rather than just adopting common practice – and make a difference. Amicus ITS seeks to support this bill and will be reviewing its own open text disclaimers to seek possible improvements in 2015.